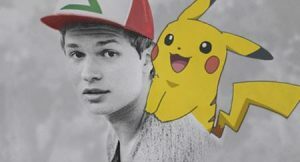 FYI: Ansel Elgort is a Pokémon trainer! I’ll turn into a Pokémon. Please catch me, Ansel!